Daniel Attinger, a professor of mechanical at engineering at Iowa State University, is working on developing a tiny device that produces a continuous supply of wine. Bless you, Daniel Attinger. 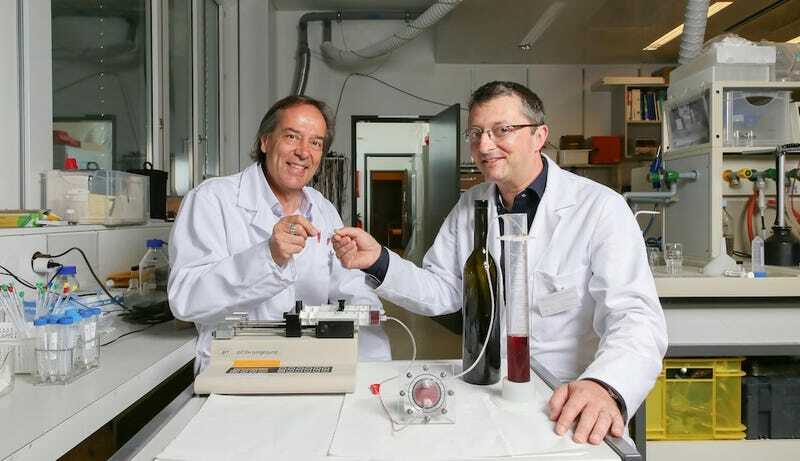 Attinger, along with a team of researchers at Ecole Polytechnique Fédérale de Lausanne, a Swiss research institute, hopes the micro-winery will aid wine experts in advancing their knowledge of the fermentation process. Fermentation, as a press release from the EPFL explains, is highly important to the flavor profile of wine—different strains of yeast produce different notes.